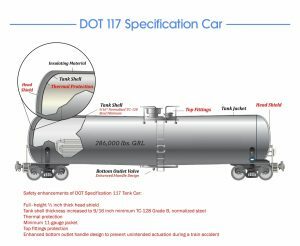 Belvedere’s new rail fleet is designed to the higher DOT 117 standards for hazardous materials such as gasoline and Ethanol. New standards include improved top fitting valves, thermal protection, thicker steel body, enhanced puncture resistance tank head shields, and enhanced bottom fittings protection. Unit Trains go direct from point A to point B. They are top priority for the railroads, average 3 to 4 days from start to destination and the volumes provide the economies of scale needed for servicing Belvedere’s strategic markets. 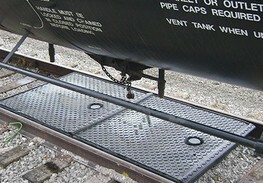 Belvedere utilizes the latest in safety and environmental protection measures in our operations. 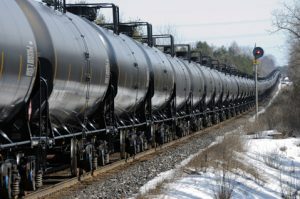 From spill protection under the rail cars to sophisticated transloading equipment designed to the latest EPA and DOT standards for the safe transfer, storage and transportation of petroleum products.